Prestigious 10 week internship program in Israel with leading global companies. 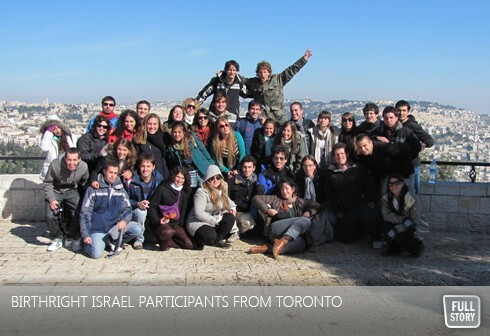 Birthright Israel Excel is a program for students who combine academic achievement with social responsibility, an aspiration to succeed in the business world, and a desire to strengthen their connection to the Jewish world and the State of Israel. Birthright Israel Excel fellows spend 10 weeks during the summer in Israel and intern at prominent multinational, global Israeli companies within a wide range of industries including finance, venture capital, consulting, high-tech and bio-tech. Throughout the program, Excel fellows engage with distinguished Israeli leaders from the business, technology, political and philanthropic arenas. Additionally, they are mentored by talented Israeli peers who are either officers in the IDF or students from the Interdisciplinary Center in Herzliya. Upon completion of Excel, participants enter the post-fellowship stage in the US and Canada, where their network expands to include leading business people as well as Excel alumni through an annual leadership conference and additional programming. The Excel network currently consists of 92 alumni. Birthright Israel Excel in the USA is sponsored by the Steinhardt Family Foundation and the Charles and Lynn Schusterman Foundation. It was created to develop a cadre of future Jewish leaders, and empower them in the world of business, technology, and social entrepreneurship. The ultimate goal is to strengthen the Excel Fellows’ connection and commitment to the Jewish people and the State of Israel, and to foster the development of a think tank of innovative ideas with collaboration between international and Israeli companies. Excel is an extension of Taglit-Birthright Israel, which sends Jewish adults between the ages of 18 and 26 on a free 10-day trip to Israel to strengthen each participant’s Jewish identity. Taglit-Birthright Israel aims to build an understanding, friendship, and lasting bond with the land and people of Israel and to reinforce the solidarity of the Jewish people worldwide. Since its inception in 2000, more than 350,000 Jewish young adults have taken part in Taglit-Birthright Israel from 64 countries and from nearly 1,000 North American college campuses. Registration for Canadian applicants opened December 4, 2013. For more information and to register for Taglit-Birthright Israel’s elite Excel leadership program go to: www.birthrightisraelexcel.com.